Certified Independent Lexus Repair Phoenix – Rated Best Service! At ToyoMotors Lexus Repair Phoenix, we understand that you likely bought your Lexus because of its superior performance, dependability and smooth ride. With proper repair and maintenance, we can extend the life of your Lexus and keep it in excellent condition. Why should you choose ToyoMotors as your trusted Phoenix Lexus repair service center? Our staff of master-trained Lexus technicians stay up to date with the latest Lexus technology and are equipped to answer your Lexus repair questions. You don’t need to take your Lexus to the dealership for expensive service and repairs. We are an independent Lexus service and repair specialist in Phoenix, Arizona and can provide Lexus repair and maintenance on all Lexus models, even hybrids. Is your Lexus still under warranty? No problem! 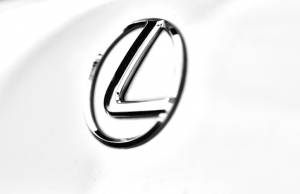 ToyoMotors will not only keep you compliant with your Lexus manufacturer’s warranty, but we can also assist you to get even more out of your factory warranty. For more information see Our Guarantee. At ToyoMotors, we are committed to keeping your Lexus in top performing condition and can handle all of your Lexus repair needs, ranging from a simple oil and filter change to a major engine repair. Save money and time with ToyoMotors Lexus Repair. ToyoMotors provides Lexus Repair Phoenix, Scottsdale, Glendale and the surrounding areas.